A brand-new initiative is dedicated to improving your child’s literacy and cognitive skills – and it’s totally free for you to participate in. The ‘First Five Forever’ grant was developed by the state government back in 2015, after the results of the Australian Early Development Census indicated that a large number of Queensland children were weak in their literacy and cognitive domains when starting school. The human brain develops at its fastest during the first five years of life, and research shows that simple things like talking, reading, singing and playing with children from birth have positive impacts that can last a lifetime. That’s why this grant – $20 million in total – is so important: it sees vital funding delivered to a network of more than 320 public libraries and Indigenous Knowledge Centres across the state, allowing the programs that help children develop these important skills to thrive. 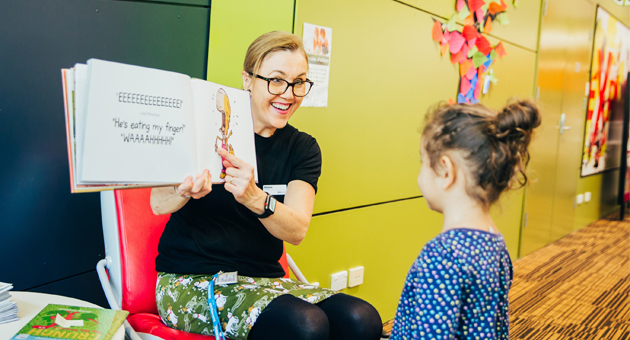 Each public library across the state utilises the funding differently, working with their communities to ensure that their programs meet local needs as best they can. 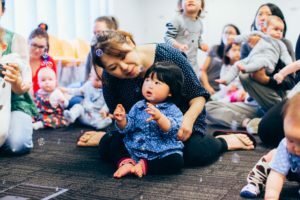 For Gold Coast City Libraries, this means partnering with government and non-government organisations to extent their reach, and prioritising programs that support disadvantaged and vulnerable families and increase parent efficacy as their child’s first and most important teacher of language development. 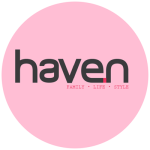 The observed benefits of the First Five Forever initiative range from new social connections to improved self-confidence on how to share books, tell stories, play and talk to their children in age-appropriate ways. But why is the library the perfect place for a program like this? To find out how you can get involved with the First Five Forever program at your local library, head to www.slq.qld.gov.au/whats-on/programs/first-5-forever.